As a parent to a profoundly deaf or hard-of-hearing child, all of the questions can be overwhelming. We are here for you. If you have more questions, please contact us at (901) 758-2228. Why is it important for my deaf child to learn to talk? With today’s technologies and specialized teaching, a deaf child has the opportunity to listen, learn, and talk. Research has shown that a strong spoken language base promotes better reading, learning, and academic success. 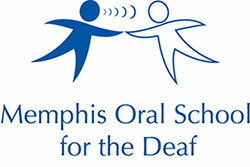 How does Memphis Oral School teach deaf children to listen, learn and talk? MOSD uses a daily combination of age-appropriate education, speech-language therapy, and audiological services with each child. Our education begins with birth through our Sound Beginnings programs and continues into our Preschool program for children up to 6 years in age. Learn more about our services. Does MOSD use sign language? No. Our children are taught to listen and talk without the use of sign language. How long would my child attend MOSD? MOSD services are available for children from birth until 6 years of age. Children typically begin attending preschool classes at 2 years of age. Our goal is for all children to mainstream into their neighborhood schools by kindergarten. Why should I choose MOSD for my child and family? • We have a unique school setting offering age-appropriate curriculum, on-site audiological services, and speech-language therapy. Oral-deaf education is a collaborative education approach that develops a child’s speech and listening abilities along with confidence and life skills to meet the challenges of the greater world. It integrates intervention, education, and sophisticated hearing technologies, to enable children with a hearing loss to listen, learn, and talk. What types of hearing losses are found in children? There are essentially three types of hearing loss. •	Conductive Hearing Loss results from something affecting the outer or middle ear, such as ear infections associated with fluid in the middle ear space. •	Mixed Hearing Losses are combinations of Sensorineural and Conductive hearing losses. A cochlear implant is a surgically implanted hearing device that takes the place of the damaged inner ear structures that cause hearing loss by providing electronic stimulation to the auditory (hearing) nerve in the inner ear. My child has a mild hearing loss/unilateral hearing loss. 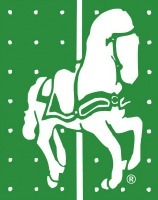 Can he/she attend MOSD? Absolutely! Children with any level of hearing loss are welcome at MOSD. It is just as important for children with mild or unilateral hearing loss to receive a strong foundation of listening and spoken language. Children with this degree/type of hearing loss can miss speech information (especially in noisy daycare/preschool/classroom environments) and often slip through the cracks. At MOSD, our children get a good foundation of language and listening skills and we teach their families how to advocate for their child once they are mainstreamed. What are MOSD's hours of operation? School days begin at 8:30 a.m. and end at 3 p.m. Before Care is available from 7:30 to 8:30 a.m. and After Care is available from 3 to 5 p.m. School offices are open from 8 a.m. to 4 p.m. Monday – Thursday and 8 a.m. to 3 p.m. on Fridays.